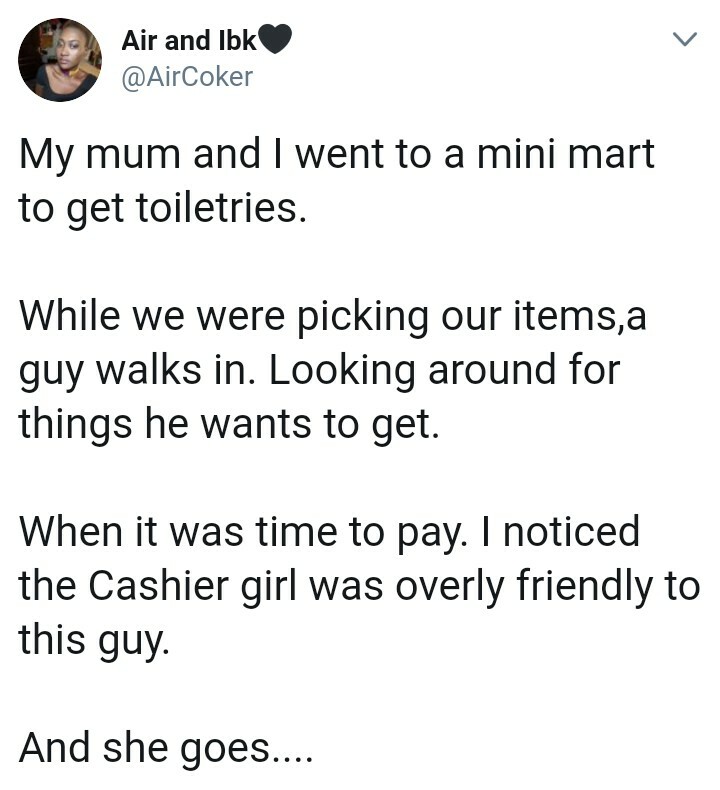 A Nigerian Twitter user, @AirCoker, showed on his page how a man had savagely denied a cashier. 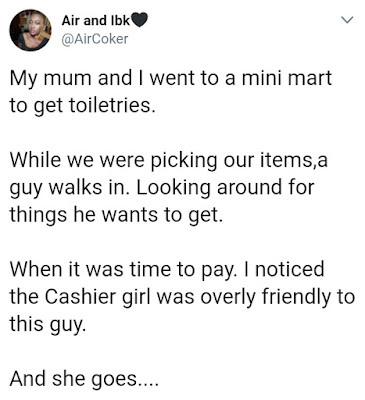 "My mother and I went in a mini-hammer to get some toiletries. While we pick up our items, a guy comes in. He's looking for things he wants to get. When it was time to pay. I noticed that the cashier was too friendly with this guy. Ahh, did you come alone today? My BABE has traveled, but she will be back next weekend. She says "your beards are fuller since the last time you came" and your shirt fits you well, bring out your body. Sha, the guy thanked her and smiled. So Auntie goes "can I have your number"? so that we can talk more and get to know each other better. 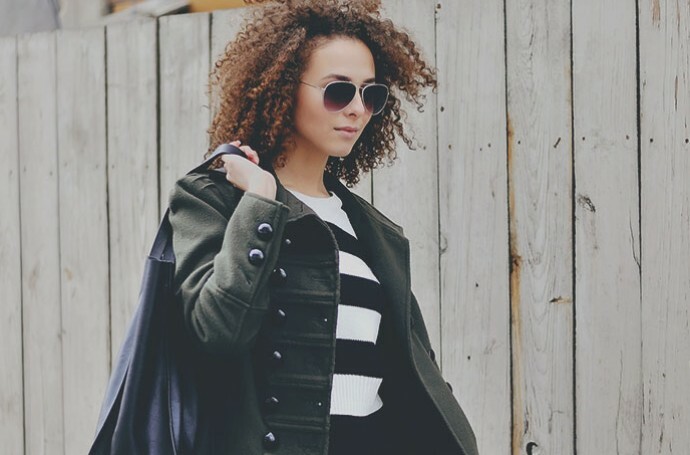 "My mother whispers to me, I thought he made it clear that he had a baby"? I said his shoot your shooting season. I will give you before leaving. She does it quickly. And he hands her phone, smiling. And say "THIS IS THE NUMBER OF MY BABE, YOU CAN CALL IT AND ASK IF IT IS OK FOR YOU TO HAVE MY NUMBER". "